I have a ton of reporting for y'all. It was a fun and successful trip! Getting unpacked, eating good meals. Will write more later. Glad you are safe at basecamp. Who else thinks its time for an intervention??? 95 pictures uploaded, at least 50 more to sort through and decide to upload or not. 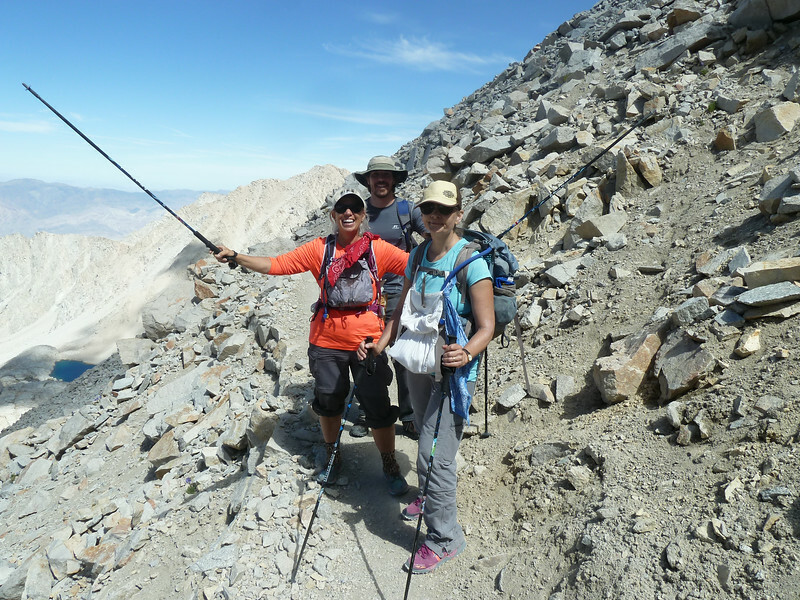 Here's Tollermom and her crew, where I met them at Trail Crest -- just a minute after I first set foot on the trail after descending from Discovery Pinnacle. Where are you uploading the pics to? Can we see 'em yet?? A hiker dude from Bakersfield climbed with me. Said he expected he would leave me behind since he was 20 years younger than me. Great series of shots, Steve. 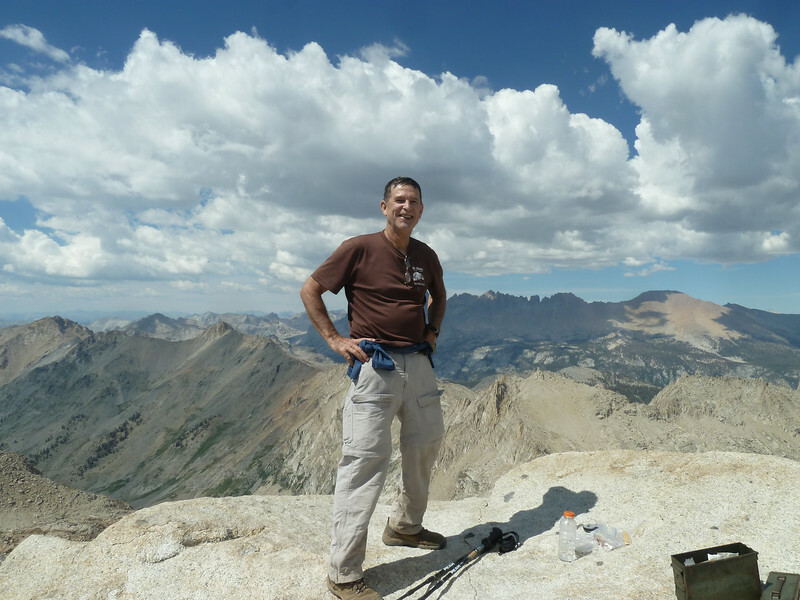 Great exploration of the lower Big Arroyo and Whitney Creek areas. I think it will generate a lot of interest in the Whitney Creek route especially. Hope there is more on the walk-off? Yes, I'll have a separate walk-off report, with videos. Short version: It is definitely easier than the "Final 400". I did not feel it was exposed to the point of requiring extra caution. That's good to know. I seem to recall horror stories about its being an express trip to Arctic Lake. Sounds like it is a viable alternative end-of-JMT exit. It definitely looks more treacherous in pictures when there is ice and snow on it that is visible from the notch. It was dry when I was there, and it was definitely less exposed than the F-400. Wish I had known that last year: could have used an express trip to a Mooseburger down the MR and and NFLPC. Would not have downclimbed the F-400 with my pack, but definitely would have done the rest of the route. Great trip report and nice pictures, Steve. Going off trail like that by yourself sure adds a lot of adventure, but the risk makes me nervous when I do it alone. My PLB gives me a little piece of mind, but the SPOT tracking really helps manage that risk. I can imagine this was all going through your mind when you cut open your shin going cross country. I can't figure out which Z-packs pack you have. No frame, top pocket, and padded belt? It looks like you took off the carbon fiber frame and mesh from the ArcBlast? You only used 3 Esbit tabs out of 6. Did you not cook each night because your lighter failed, or did you intend to mix it up and only cook on some nights? I'm also wondering why the wood was wet, which caused you to wreck your lighter? (that's the most "W"s I can fit into one sentence). The pictures with captions are not the report. Still working on a better one. I would NOT go off trail alone in such remote places without a Spot or something similar. The SPOT sort of gives me a longer leash to what is ok for my family to tolerate and for me to feel like I have an emergency backup. I see Zpacks doesn't offer the plain "Blast" pack anymore. It was 8 oz. The Cuben Fiber fibers are delaminating at key stress points, so it needs to be tossed. I am sad that they don't have it anymore. I would order exactly the same thing. All it had for frame was two carbon fiber rods, about 18" long. Main compartment, rear stretchy big pocket, two side pockets, two belt add-on pockets. Esbit tabs: Half a tab or less heats my one-man Mountain House dinners. I usually put the dinner in the cup, add water, then put it on the stove. I'll eat the stuff before it boils. The last two nights, I just let the tabs burn up, since I'd have to carry them out otherwise. A fresh tab worked well on Mt Whitney. When you reuse the older ones, they don't burn very hot once they are small. I skipped two nights--friends had fish one night, broken lighter on the 3rd night. First hikers I met the next day gave up a spare lighter. All wood, kindling, twigs were very damp where I broke the lighter. Seems like the area had a big downpour, soaking everything, in the past 24-48 hours. There were fresh clean gullies all over. Must have been a localized cloudburst. In hindsight, I could have started a fire with the esbit tablet. That would have maintained enough heat to dry the first batch of kindling. Generated in 0.118 seconds in which 0.093 seconds were spent on a total of 15 queries. Zlib compression disabled.